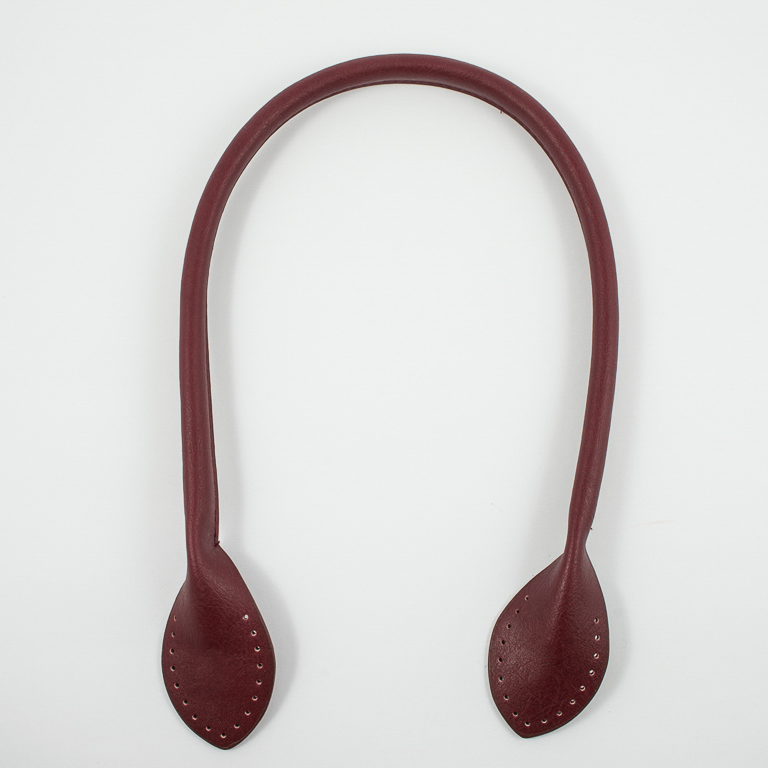 Bag handle of genuine leather in burgundy color. Length 57cm and width 1.5cm. The price corresponds to one piece.